In 1985, Jane Montgomery, was given the diagnoses that she would never be able to conceive a child. This news was very heartbreaking to Jane, but because of her love for God, she was able to deal with this situation. In 1995, Jane Montgomery became my wife and we were prophesized to one day have a child. In 1997, we were blessed with a positive pregnancy test, but two months later, we lost that child due to a miscarriage. We were hurt and confused, but continued to serve God faithfully. In 2002, we once again were blessed with a positive pregnancy test with twins this time in March of that year. During the month of July while at a church conference in Daleville, Al. An infection had set in causing Jane’s water to break early. Jane was rushed to Flowers Hospital in Dothan, Al. A decision was made by the attending physician to have Jane transferred to UAB in Birmingham, Al by ambulance. After examining Jane at UAB, it was decided an emergency delivery had to be made to save the life of Jane and her set of twins. The babies would have to spend the next 4 months in the NICU. Due to the babies being born severely premature, they had several medical problems. The first baby delivered was named Janee’ Victoria; 1 pound 5 ounces and the second child was named Jalisa Ann; 1 pound 7.oz. 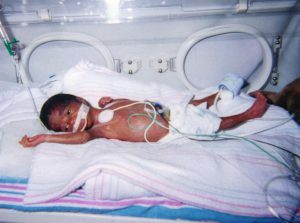 Janee’ was diagnosed with (RDS), Respiratory Distress Syndrome. Jalisa was diagnosed with a grade three brain bleed, Necrotizing enterocolitis (NEC), a serious inflammatory bowel disease amongst several other medical problems. 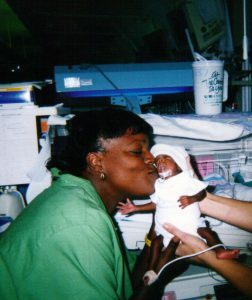 On August 10, 2002, Jalisa was allowed to peacefully return to her heavenly father. 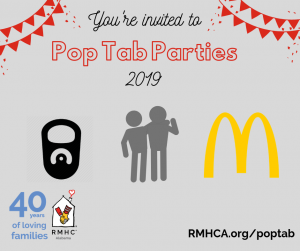 We were assigned a case worker who was able to get us connected with the Ronald McDonald House. This was a great blessing for us, because we did not live in the local area. I was serving in the U.S. Army and stationed at Fort Stewart, Ga. 7 hours away. RMHCA gave us a peace of mind in the sense that we did not have to worry about having an affordable place to stay for the next 4 months. We were also able to connect with other families who were going through the same situation. RMHCA allowed us to be able to see our precious babies every day. Janee’ was able overcome her RDS after several weeks. In the month of August, Janee’ was diagnosed with a grade two brain bleed along with fluid filled cyst in her brain. We were told that if Janee’ were to survive, she would most likely be blind, have learning disabilities and would most likely have Cerebral Palsy. Thirty days later after a second brain scan, there were no signs of cyst or bleeding. The doctors had no answers, but we knew what happened, prayers were answered. A month before Janee’ was to go home from the hospital; she was diagnosed with having a virus (RSV) that caused her to go from 4 pounds to 8 pounds in one hour. We once again returned to the power of prayer and instead of 2 weeks to recover, Janee’ was healed in 5 days. In November, we were allowed to take our miracle child back to Hinesville, Ga. Janee’ was evaluated for the next three years at the University of Alabama at Birmingham (UAB). 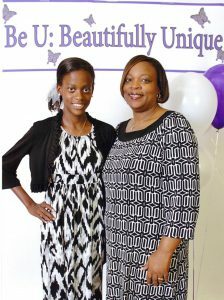 Today Janee’ is a happy and healthy child who has two parents that know the power of PRAYER and FAITH.